Bennett criticizes Netanyahu for supporting a Palestinian state, calls on Israel to annex Ma’ale Adumim. Speaking at a conference in memory of Judea and Samaria pioneer Uri Elitzur, Bennett recalled that Elitzur would say that “When you don’t know what to do, then act”. “We do not know what the proper path is and therefore we have to apply sovereignty in Ma’ale Adumim do the Dead Sea. It is not the classic settlement and it breaks the line of the blocs,” said Bennett. “In my opinion, the prime minister largely does not want to apply the Israeli law and he is in favor of two states. He and I are not in the same place of values,” continued Bennett. 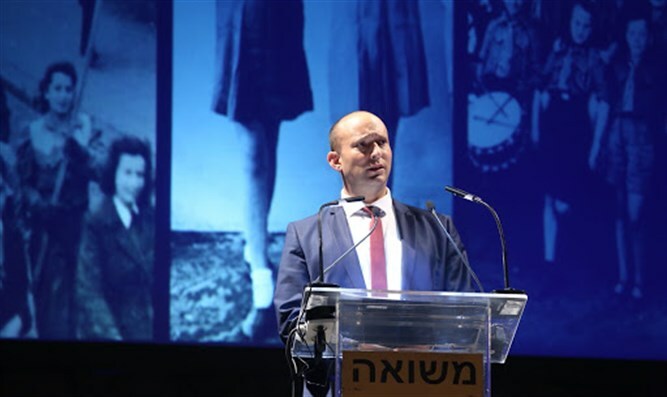 Bennett added that the next prime minister would likely be Netanyahu and said that only the Jewish Home could be counted on to advance right-wing interests. “On a daily basis there is a tug of war. There are me and Ayelet [Shaked] who pull to the right, Kahlon and Liberman pull left,” Bennett said.